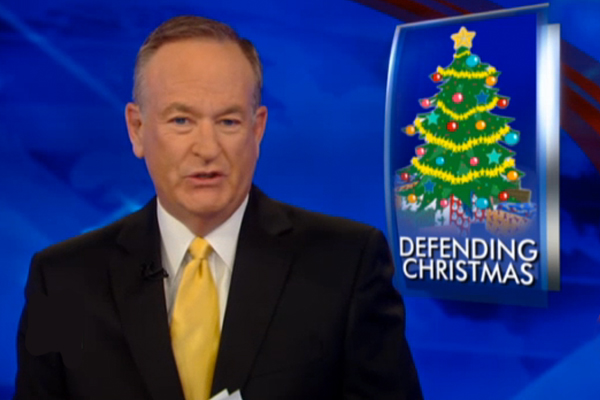 A whole industry has arisen around the notion of the so-called “war on Christmas.” Political pundits are up in arms; best-selling books have been written on the “liberal plot against Christians”, and the highest rated news show on cable TV (Bill O’Reilly) has made this a central point to galvanize viewers. There is even a flag draped page on Fox News’s website to keep track of reported instances where “the right to celebrate Christmas is under attack.” Recent polls, however, seem to cast doubt on the arguments being made. Whenever I see privileged Americans claiming the status of victimhood, I must admit, I am skeptical. Amidst the tragic suffering of people near and far, why would anyone focus so much money and energy on this question? Would it not be more in tune with the values that are supposedly under attack to spend our energy addressing the suffering of the thousands of American children who are homeless, the millions of people who are forcibly d displaced from the conflict in Syria, and the growing ecological crisis? 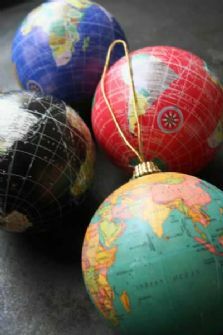 If there is a war on Christmas it has little to do with a lack of nativity scenes in public places, an increasing sensitivity to diversity within our communities, and the ways in which people greet each other this season. Sure, there may be isolated issues of religious freedom that need to be addressed, but the real opponents to Christmas in the United States are those that seek to water-down and domesticate the radical truth that Christians proclaim on this day: God is so deeply concerned with the plight and suffering of human beings, an in particular the poor, that God has chosen to become one of us. This domestication of Christmas is reinforced by our rampant individualistic and consumeristic culture, in which people define their self worth by possessions and individualistic freedoms rather than relationships. In looking toward the United States and Western Europe, Catholic popes for well over fifty years have critiqued the tendency of capitalism to emphasize “having” over “being.” This mindset, as Pope Francis has recently warned, too often leads to the objectification of others and in particular those who live in poverty. The prevalence of this way of thinking can be seen even among the Christmas defenders such as Sarah Palin, who has literally written a book on the topic. In a recent interview with Matt Lauer, Palin praised the commercialization of the feast (for which she benefits from her book sales): “I love the commercialization of Christmas,” she said, “because it spreads the Christmas cheer.” The idea that Christmas might challenge the heart of American economic power seems unimaginable to Christmas warriors like Palin and O’Reilly. In a culture centered on personal image, power, and Machiavellian notions of greatness, the birth of a savior to impoverished, dark-skinned, Jewish migrants in a dirty barn is incomprehensible and even comical. The idea that Jesus could be anything other than the normative (all-American) white male does not even occur to even our educated news anchors who remake Jesus and “Santa” with blue eyes. This is not at all surprising, given that most images of the birth of Christ gloss over with porcelain and gold paint the reality of poverty and God’s deep concern for the poor and oppressed. What, then, does it mean to proclaim Christ present in a world of injustice, inequality, war and poverty? 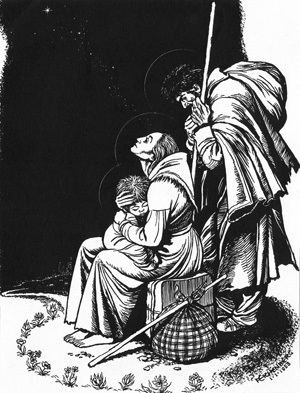 O’Reilly, Palin and the other Christmas warriors might do well to remember the prophetic call of the pregnant Mary’s Magnificat (LK 1:46-55) in which she proclaims God’s special concern for people who are poor and oppressed or Jesus’s self proclamation on how he has been sent to bring the good news to the poor (LK 4: 16-19). Writing nearly a century ago, G.K. Chesterton has a beautiful reflection on the centrality of the poor to Christmas celebrations. Sadly, little progress has been made since Chesterton wrote this. As many of us will celebrate comfortably with our families, millions of children, women and men will suffer from poverty, lack of access to healthcare and conflict. At the same time many charmed by victimization have lost sense of the gift of encountering Christ in world, a Pope Francis describes it. The world is so loved by God, that God enters into it. Christmas has always been political. The birth of a messiah, Christian tradition holds, was very threatening to those in positions of political power. 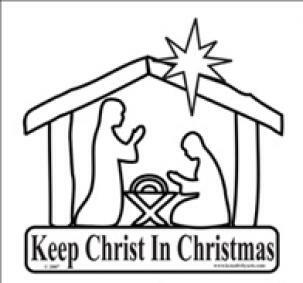 At its core, Christmas symbolizes God’s love for humanity and in particular those who are poor and oppressed. This can be very disruptive. The real question that needs to be addressed then is not about bumper stickers and nativity sets. Rather, it is about how we respond to God’s love in the world today. There are many practical ways that we can do this (fair trade gifts, cutting back on commercialism, etc), but it’s fundamentally about relationships (with God and others), justice and solidarity.